Knowing how to motivate employees with praise – the right way – will make a difference in the long run. As Suzanne’s boss, you get the feeling that she doesn’t like you very much, but you really need her to stay late to finish a big project. You turn to your trusty manager’s handbook, “Ways to Motivate Employees” to look for a sure-fire motivator. “Use praise regularly,” stands out. You approach her with a smile and tell her what a great report she turned in last week (even though both you and she know that it was mediocre at best). She tags you and your compliments as big phonies. She feels manipulated, which only exacerbates her mistrust. While learning to use praise to motivate employees is a decidedly positive technique for managers, it can backfire when your attempt is insincere, overused or manipulative. When you decide to use praise, make sure you’re not doing so to soften the blow of bad news or to get what you want. You shouldn’t motivate employees with praise only when things are going bad. It shouldn’t be something you roll out only when you need a quick fix to liven up the workforce. Instead, a steady stream of appropriate and deserved praise can go a long way to increase productivity and reduce reoffending. Workers who rarely receive praise tend to be more unhappy and unmotivated than those who regularly get a pat on the back. In a poll of workers, Gallup found that only one in three had been praised within the past seven days. In contrast, those who reported that they were praised in the past seven days also generated 10 to 20 percent more productivity and revenue than those who were ignored. That’s because positive reinforcement produces a chemical in the brain that’s associated with pleasure — dopamine. When motivating employees, you give them a shot of dopamine every time you use praise. They tend to come back for more, and repeat those behaviors that earned them the “Atta boy!” in the first place. Humans have an intuitive desire for dopamine — and the pleasure and pride they get from it. Most people will go to great lengths to get it. The dopamine rush is the reason that positive reinforcement is such a successful training tool for animals and children. And the need for that rush does not diminish with age. As a matter of fact, this biological urge can be one of a manager’s greatest tools, as long as you use it properly. When you use praise to motivate employees, do it sincerely to get the best results. But don’t overplay your hand. If you say, “Good job today,” to an employee at the end of every single workday, it becomes background noise within a couple weeks. But stop that employee after a successful delivery, look him in the eye, say the same thing and you can almost see the dopamine go to work. Well intended daily compliments may be ineffectual, but weekly praise can keep your team pumped up over the long run. Show your appreciation sometimes. A verbal or written compliment is nice, but occasionally show employees that you respect and admire them. Ask a team member to mentor a new employee or put someone in charge of a new team as acts of appreciation. Offer praise three times as often as you criticize. That maintains a balance. A scientific study that led to what’s called the “Losada ratio” found this to be the minimum required to reap the highest productivity out of workers. Be very specific with your praise. The more details you include, the more power the compliment carries. “Good report” is better than nothing. But “I really liked your analysis in the report and appreciate your timeliness with the project” is much more specific and carries more weight. Give everyone a little praise. While it may be easy to regularly compliment your most talented team members, find ways to spread the praise around to other team members who aren’t as productive. It just might help them step up their games. Suzanne may have appreciated (and accepted) your praise more positively if you proffered it on a day when you didn’t have any extra work to give her. Consider your timing when delivering compliments. Try not to motivate employees using a manipulative tactic or as a buffer for bad news. People see through those kinds of maneuvers and though you may get your way, the motivation quickly loses steam, especially compared to the long-lasting effects that you get from a well-timed compliment. Check your own motivation before motivating employees. If the timing could be misconstrued as manipulation, then wait and deliver it at a more appropriate time. The risk of negative blowback isn’t worth the temporary benefit. Another area that managers often get caught up in is the need for respect. Successful leaders have inner confidence that’s strong enough to avoid a superior attitude. Managers who are thrust into a leadership role before they are ready have a tendency to exert their power through subtle (or even overt) intimidation. Without sufficient inner confidence to guide your attempts to motivate employees with praise, you may end up sending a message that says, “I am your boss and I have the authority and the right to judge you.” Praise is not about judgment; it’s designed to express gratitude. Great leaders know they cannot achieve success alone. Show your staff that you really appreciate their value, as well as their specific contributions to the team. Time your praise so that there is little to no risk that it will be misinterpreted or devalued in any way. Provide specific examples of what the person did to earn the praise. 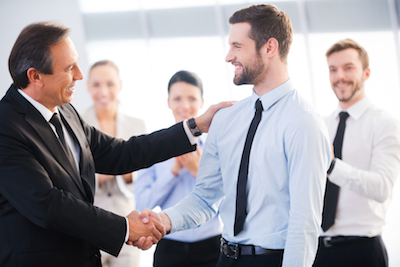 Truly motivate employees by offering sincere praise. And enjoy giving as much as your staff enjoys getting. Share your gratitude with the world. When it comes to your employees and their performance, what are you most grateful for? Share in the comments below. 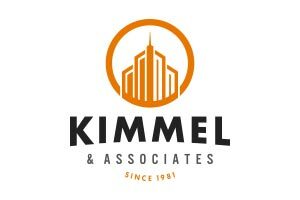 Kimmel is an executive search firm located in Asheville, North Carolina. Our professional recruiters are committed to exceeding client expectations. They work with the same dedication, honesty, and attitude of service that has been the Kimmel standard for over 34 years.